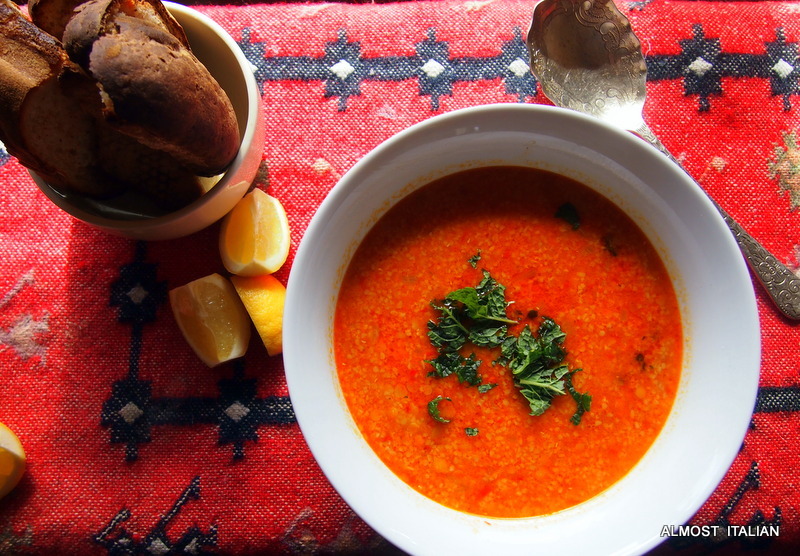 Turkish Red Lentil ‘Bride’ Soup. I first tried this nourishing soup a few years ago in Brunswick, near Melbourne. A young Turkish woman opened a small lunchtime cafe in the middle of an empty space in the Brunswick Market. She cooked her grandmother’s food from memory; it was cheap, sustaining and delicious. Her little restaurant didn’t survive, given its location inside a dingy arcade. Every now and then I see her around the streets of Brunswick and I feel like running up to tell her how much I loved her soup. She served it in big deep bowls with a small pourer of white vinegar and a separate little saucer of dried chilli flakes on the side, along with fluffy Turkish pide, toasted in a flat sandwich maker. I have been making versions of this soup ever since then, trying to replicate her flavours and texture. It is so cheap and nourishing, you could live on it. The key to the ‘bridal’ quality of this soup is the butter. You could ‘veganise’ the recipe, but it wouldn’t taste as good. I am indebted to Patricia Solley’s Soupsong for this close version to the real thing, to which I have made slight adjustments. Traditional Garnish: lemon slices, or vinegar and chilli flakes, mint. Inauthentic garnish, yoghurt, mint leaves and chilli flakes. Heat the butter in a large saucepan and saute the onions over low heat until they are golden, about 15 minutes. Stir in the paprika, then the lentils and bulgur to coat them in the butter. 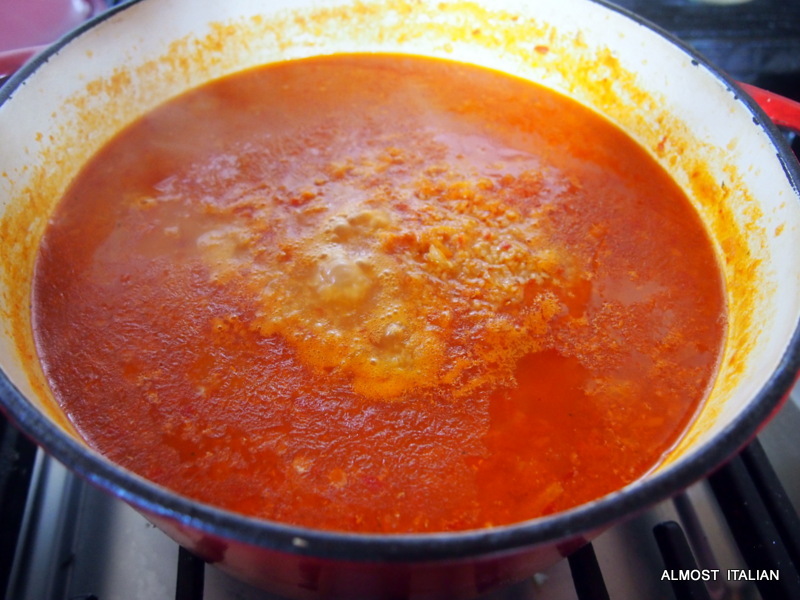 Add the tomato paste or red pepper paste ( or Biber Salcasi), the stock and hot chilli, then bring to a boil. Reduce to very low simmer and cook until soft and creamy, for about an hour. ( You may need a simmer mat for this and check that it doesn’t stick). When ready to serve, tear the fresh mint into the soup or crumble in the dried mint. Stir, remove from heat for 10 minutes, covered, then ladle the soup into large serving bowls, serving with lemon wedges and extra mint on the side. Great with warm or toasted Turkish Pide. It’s a meal! Patricia Solley, An Exultation of Soups. 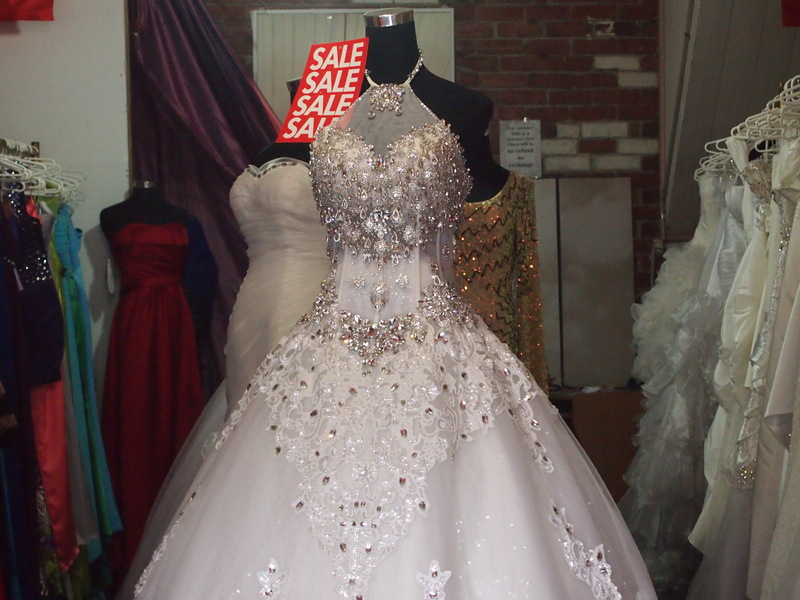 The bridal shops of Sydney Road, Brunswick, are notorious. Some specialise in elegance. 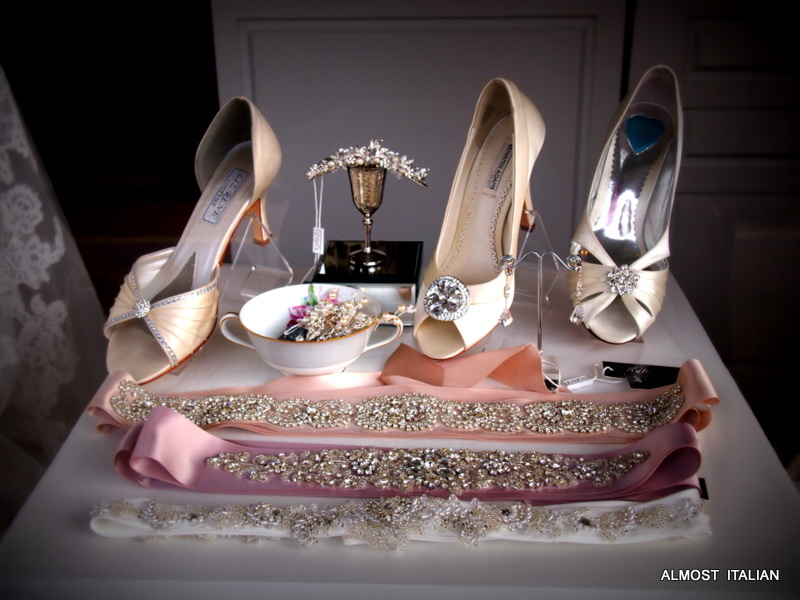 And others do amazing bridal kitsch. A beautiful soup and accompanying story! Thanks Liz, its a favourite and only 30 cents a bowl! Aren’t those bowls beautiful? Just right to be filled with your soup – which also looks beautiful… as well as warming and delicious! AHHHH ye., The soup costs around 30 cents a big bowl and is a fave. The gorgeous Turkish bowls along Sydney road cost about $30.00 a big bowl. Grazie mille, e`un paitto molto economico, gustoso e sano. Sounds delicious, Francesca. The photos of those Turkish bowls take me back to the Grand Bazaar! I did not want to deal with carrying a decent sized T bowl back so it’s good to know I could find one in Sydney and bring it home with me. Yes, if your down in Melbourne, the Turkish/Middle Eastern strip is along Sydney Road,Brunswick. The soup costs very little and is very sustaining. I am very keen to get to the Grand Bazaar in Instanbul. The bowls are gorgeous, and loved hearing the story behind this recipe! Yes, sometimes a soup’s history can add to the flavour! What a splendid looking soup and from the ingredients list, it sounds like the perfect thing to whip up from the pantry! I like the story and the recipe.! I used to do lentils soup but I didn”t put bulgur weat. I will try this one. Thanks for sharing! The bulgar wheat makes it quite thick so watch the base of the pan when it cooks. Good luck with it. Next Next post: Sourdough Diaries. Wholemeal and Spelt.